For critical systems it is important to know whether the system is trustworthy and to be able to communicate, review and debate the level of trust achieved. In the safety domain, explicit Safety Cases are increasingly required by law, regulations and standards. It has become common for the case to be made using a goal-based approach, where claims (or goals) are made about the system and arguments and evidence are presented to support those claims. The need to understand risks is not just a safety issue: more and more organizations need to know their risks and to be able to communicate and address them to multiple stakeholders. The type of argumentation used for safety cases is not specific to safety alone, but it can be used to justify the adequacy of systems with respect to other attributes of interest including security, reliability, etc. An international community has begun to form around this issue of generalized assurance cases and the challenge of moving from the rhetoric to the reality of being able to implement convincing and valid cases. In a recent article in IEEE Security and Privacy (http://www.computer.org/portal/pages/security/2006/v4n3/oth.xml) we outline what we have been doing so far in the security area, what we hope to achieve and where we go next. What makes an argument compelling? Are there standard patterns for arguments? What arguments should be compelling? What arguments do people actually find compelling? How do additional arguments or evidence serve to increase the compelling nature of a case? If there are accepted notions of what makes a case compelling, to what extent do we know that these accepted notions are correct or incorrect? Is there a measure of compellingness that could be used to compare alternative argumentation structures? How can assurance cases be composed? If they are composed, is it also possible to compose the metrics associated with the individual cases? How can arguments with different compelling force be compounded for supporting the case claims? What new types of evidence are needed to create arguments which are more sound and how will we measure that they are more sound? By what metrics do we assess the effectiveness of evidence? What is the cost/benefit justification for developing an assurance case? Are there different levels of effort depending on the motivation? Can these levels be quantified? Can it be shown that a well-defined and executed assurance case process will cost less than current assurance processes? Given two cases, one that costs more and, by some metric, is more compelling than the other, how does one make the trade? The purpose of the workshop is to understand these and other questions in the context of assurance cases for security and to identify viable technical approaches. invited talks at the beginning of a session followed by brief presentations of position papers. discussion of the application of metrics to example toy assurance cases for security. Candidate methods for combining the various classes of evidence toward the desired system security properties. Attendance at the workshop will be open to all interested parties. For active participation submission of a position paper of no more than six pages is required. The submission should conform to the proceedings publication format for IEEE Conferences and should be submitted electronically in PDF format via e-mail to weinstock[at]sei.cmu.edu. 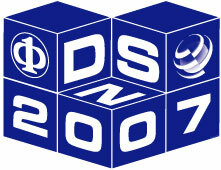 Please use the subject "DSN AC Workshop Submission" so that your submission is not overlooked. Submissions will be reviewed by the organizers and those accepted will be published in the DSN Proceedings supplemental volume. For questions or concerns regarding the workshop please contact Sami Saydjari at the Cyber Defense Agency or Chuck Weinstock at the Software Engineering Institute.